Search for property in the Westgate area. Ashley is a proud member of the Herne Bay team and looks to provide the best in Customer service. Ashley's qualified membership status of The Guild of Property Professionals combined with his enthusiastic, logical and consistent approach makes him an important integral part of the KEA Herne Bay team. 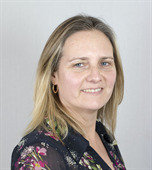 Claire, who is qualified as an Associate of The Guild of Professional Estate Agents is an important member of the Westgate team and is responsible for the smooth running of the sales administration of the office, supporting Michael in providing a high standard of customer service. Elliot, as part of the Herne Bay team since 2014, has great enthusiasm and determination to help buyers find their home and to make sure that the Herne Bay Office remains the No 1 Estate Agent in Herne Bay for Customer Satisfaction by meeting all his client’s needs and is an important part of the growing Herne Bay team. Elliot is qualified as an Associate Member of The Guild of Property Professionals, he has also completed the Guild of Property Professional’s enhanced training scheme.Elliot is a determined problem solver, who will always go that extra mile to help buyers and sellers achieve their goals.Elliot has a wealth of local knowledge from growing up in both Herne Bay and Whitstable and going to school in Canterbury. In his spare time Elliot enjoys walking his dog at Birchington with his partner Vicky. 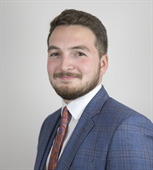 Samuel enjoys helping buyers find their perfect home and his qualified membership status of The Guild of Property Professionals combined with his enthusiastic approach assists him in providing a high standard of Customer Service. In his spare time, Samuel enjoys going to the gym and playing football.